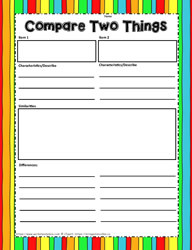 Story graphic organizers, writing graphic organizers, who what when where why how graphic organizers, 5 W organizers. What is the Frayer Model? Frayer model templates. T chart worksheets and models.